Mutual funds offer a way for a group of investors to effectively pool their money so they can invest in a wider variety of investment vehicles and take advantage of professional money management through the purchase of one mutual fund share. 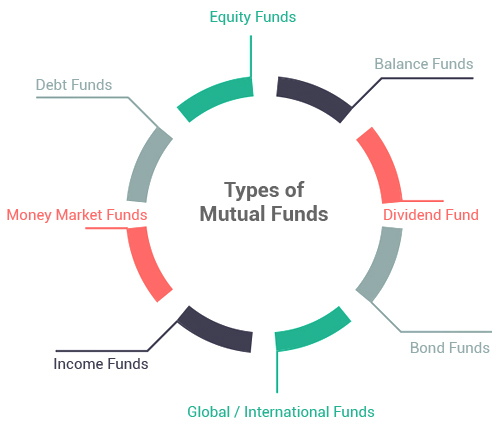 Mutual fund companies essentially collect the money from their investors, or shareholders, and invest that pooled money into individual investment vehicles according to some risk profile, money management philosophy, or financial goal. The mutual fund then passes along the profits (and losses) of those investments to its shareholders. More & more people are learning about mutual funds as a means of investment. From putting one's money into fixed deposits or investing in real estate, people are becoming aware of mutual funds as lucrative choice of savings & investments. It is becoming the most sought-after method of investing but having limited or no knowledge of it can hamper one's plan to go ahead with mutual funds completely. Here, we will give you a summarized info about all you need to know about mutual funds & the benefits it carries. 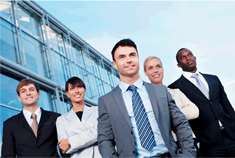 Mutual funds are managed by professional people who have years of experience handling different types of assets. They are a group of dedicated team that handles all financial decisions based on the performance & prospects available in the market. If saving time & convenience is what you seek then mutual funds are an ideal choice for investment. Because of low investment amount options, multiple choices based on one's life & financial goals, offering the ability to redeem them on any business day, mutual funds are much sought after. Mutual funds help counter risks to a large extent by equally distributing your investments across diverse range of asset classes. Mutual funds work by the adage “Do Not Put All Your Eggs in One Basket”. Investing in mutual fund is a smart way of beating inflation as it helps investors to generate inflation-adjusted returns, without spending much time or energy on it. This choice of investing makes sure that the purchasing power of your money doesn't go downhill over some years. As compared to investing directly in capital market, mutual funds offer investors the advantage of low cost investment. Most stock options require a huge capital to begin with, on the other hand mutual funds can be started with as low as Rs.500 per month & investors can derive benefit from the long-term equity investment. Since every mutual fund is managed & regulated by SEBI, you need not worry as your investments are safe. SEBI has several regulations & legal frameworks in place which ensures that your investments are managed in a disciplined manner. Now it's true that every investment is subject to certain risks, however, prudent selection based on strong market knowledge & fundamentally sound securities with diversification can help hedge such risks and generate high returns on your investments. These are type of funds that primarily invest in stocks and main investment objective of this class of funds is long term capital growth. Further, there are many types of equity funds which are categorized based on the size of the companies like large, medium or small. These funds are known as safe investments and provide fixed returns. In these, funds are invested in debt instruments like company bonds, government bonds, fixed income assets. The strategy used by these funds are to maintain a certain percentage of mix of both fixed income & equities. Normally, a typical balanced fund will maintain a distribution of 60% equity & 40% fixed income. A similar type of fund known as “Asset Allocation Fund” follows on similar objectives that of Balanced Funds but then these kinds of funds do not hold any specified percentage of any asset class. This type of mutual funds invests in stock of companies that pay dividends, which are profits that a company shares with its stakeholders. These are income generating funds & tend to be less risky than other types of funds. It is a good choice of investment for those who seek regular payments over appreciation. Systematic Investment Plan (SIP) is a very easy & convenient mode of making investments in mutual funds on a regular basis. SIP allows one to cultivate a habit of savings & creating wealth for the future by starting early. Offering ease & flexibility, through SIP one can create a planned approach towards investing right. SIP gets auto-debited from the investors account and the amount is invested into a mutual fund scheme that has been specified. The investor then gets a certain number of units which is based on the current ongoing market rate. Every-time a SIP is made, additional units keep getting added to the investor’s account. 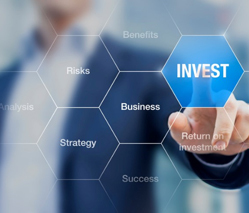 SIP has proved to be an ideal choice of investments for retail investors who lack resources to pursue active investments. Offering a hassle-free mode for investing, one can directly get the SIP amount deducted from one’s bank account via a standing instruction to facilitate auto-debit function. By investing through SIP, you commit to saving regularly. So, with SIP, one gets into a mode of disciplined savings along with creating a path of attaining one’s financial objectives & goals. 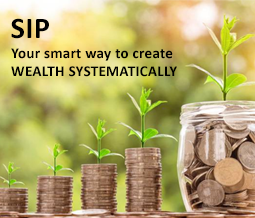 With SIP, one can decide and increase/decrease the amount as they wish, although it is always recommended to continue SIP with a long-term perspective. Investing with SIPs leads to long term gains because of the power of compounding & rupee cost averaging. Rupee cost averaging is an automated market timing technique that eliminates one’s need to time the market. STP is a way through which one invests a lumpsum amount in one scheme & regularly transfers a pre-defined amount into another scheme of the same mutual fund house. In the long run, STP helps in cutting down risks to a considerable level & earning good returns. Basically, STP means transferring an investment from one asset or asset type into another asset or asset type. 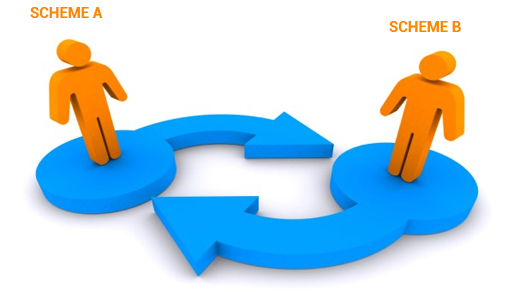 This transfer process happens gradually over a period of time. Fixed STP - Here the investors take out a fixed sum from one investment to the another. Capital Appreciation STP - Here the investors take out the profit part of the investment & invest it in another. 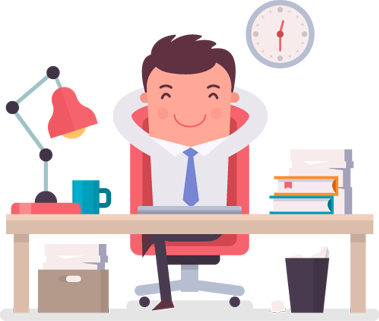 Flexi STP - Here, the investor has a choice to transfer a variable amount towards the investment. Through STP, one can balance their portfolio effectively as this method allows the allocation of investments from equity to debt or vice versa. If your investment equity goes up then it can be switched from an equity to a debt fund. Through STP one can transfer the set amount to a target equity fund while still being invested in a debt or liquid fund. So, an investor stands to gain benefit from the returns of the equity fund to which the funds are being transferred to & at the same time remain protected as a part of the investment remains in debt. STP helps in averaging out the cost as it assists in buying units when the rates are lower & vice versa. Time has the greatest influence on your investment portfolio than any other force. Investments have the potential to increase in value over time and hence longer the time frame the greater the value. That’s why, financial advisors always recommend to start saving early in order to gain benefits from the power of compounding. Let’s explore this concept further. ELSS is an equity diversified fund & investors enjoy both the benefits of capital appreciation as well as tax benefits. But for long term, ELSS generate better returns though with slightly higher risk. Equities are known for giving potentially higher long-term gains compared to other tax saving instruments available in the market. So, with ELSS, one can more effectively & efficiently construct a portfolio keeping in mind the long-term perspective. Under section 80C, investments in ELSS are exempt from tax. And the returns received from equity funds after the end of 1 year is also tax free. 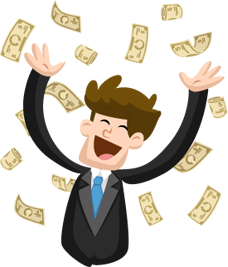 As ELSS funds come with a lock in period of 3 years, the returns, dividends, capital gains also become tax free. If you want to save money & earn higher return of approximately 15 percent & more than ELSS funds are the way to go. With inflation beating returns, ELSS funds are the best when it comes to long term financial planning. Under the guidance of an expert financial advisor, one can easily achieve the set goals of buying their dream home, children’s education, wedding, car & much more. ELSS funds have a 3-year lock in period, which is less as compared to other investment avenues like PPF, FDs, NSC. One has an option of either investing in one go i.e. lumpsum amount or can opt for SIP. SIP or Systematic Investment Planning is where a certain amount gets deducted from your account on a monthly basis. Currently, there are two most popular methods of investing - Fixed Deposits & Debt Mutual Funds. These two methods of investment are normally do meet primary goals of an investor which are low risk investment avenue, seek returns in 5 years & to gain atleast 8% to 9% of rate of returns. But then there are certain aspects like benefits, features that differentiate them & the difference in the way they work can be of advantage or disadvantage depending on the type of investor one is. Fixed Deposits are most popular investments for most investors. The key features that make them popular is safety, Liquidity (you can withdraw the amount by paying a small penalty anytime before maturity) and the returns are known in advance as Fixed Deposits indicate the rate of interest that any investor will earn. The interest income that you earn from Fixed Deposits gets added to your total income and hence the tax rate that is applicable depends on your total income. If you are in the highest tax bracket then you will be paying a tax rate of 30% plus applicable surcharges. Most investors are also subject to Tax Deduction at Source (TDS) on the interest payments. Debt Funds / Liquid Funds are categories of mutual funds that invest 100% of the underlying investments in debt securities. In other words, these funds do not take any exposure to the equity markets. Hence these funds are relatively less volatile than the equity funds. Debt Funds / Liquid Funds carry risks that are inherent to debt securities viz. Credit Risk, Interest Rate Risk and Liquidity Risks. Unlike a Fixed Deposit, open-ended debt mutual funds do not carry any maturity date and hence the investors have the flexibility to withdraw anytime that they need the money. Investors can also opt for the Systematic Withdrawal Plan (SWP) if they wish to need to withdraw money for their regular needs. Once the investor redeems (withdraws) from the debt/liquid funds scheme, the gains that accrue are taxed as Short Term Capital Gains (holding period of below 3 years) / Long Term Capital Gains (holding period greater than 3 years). This can be advantageous for investors in the highest tax bracket. SWP is a facility offered by mutual funds to enable the investors to redeem the units in small portions at regular intervals so that short term goals or monthly income needs are met. The intervals period can range from monthly or quarterly. SWPs are preferred choice by retired individuals as it can help in creating regular flow of income from their investment corpus in mutual funds. Other investors can opt for this to pay EMIs, pay bills, & to take care of other expenses. SWP can be effectively used to make better use of surplus funds as it allows you to invest that amount in mutual fund schemes & facilitates withdrawal as per your requirement. It also offers capital protection as returns on arbitrage funds are risk-free. When one withdraws through SWP, the amount doesn’t attract any tax. All the money withdrawn will be capital itself. This facility is a good choice for those who are looking for regular income over a period of time. This method allows an investor to invest a fixed amount at regular intervals which ensures that the investor buys more shares of an investment when the prices are low & less when the prices are high.